Today, we’re finishing up with steps 5 and 6. 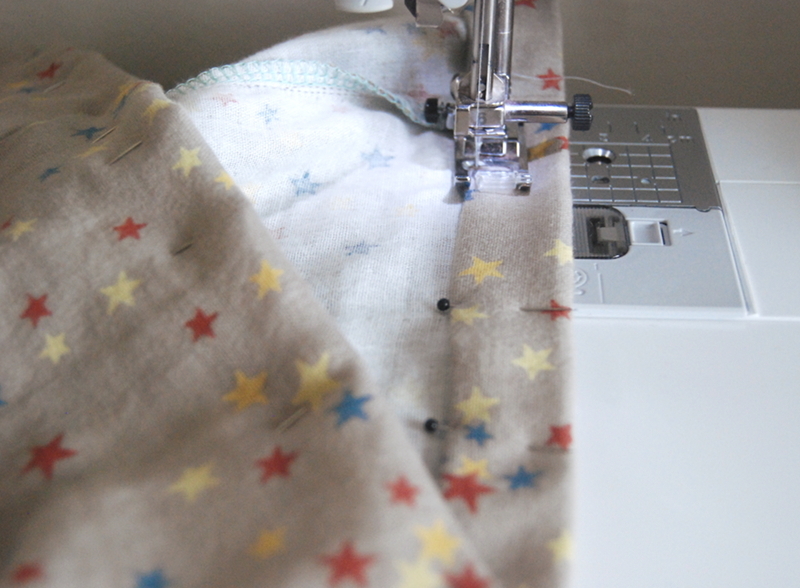 If you prepped the hems back on Day 2, these steps are super fast. But even if you didn’t, it shouldn’t take us long to finish this puppy up! 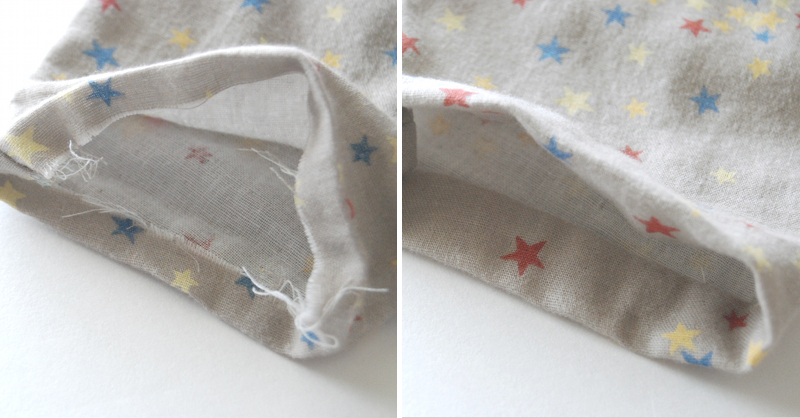 Fold the edge of your sleeve towards the wrong side 1 cm and press. Fold again, this time 2 cm, enclosing the raw edge and press. Pin and sew along the folded edge. Repeat with the other sleeve. 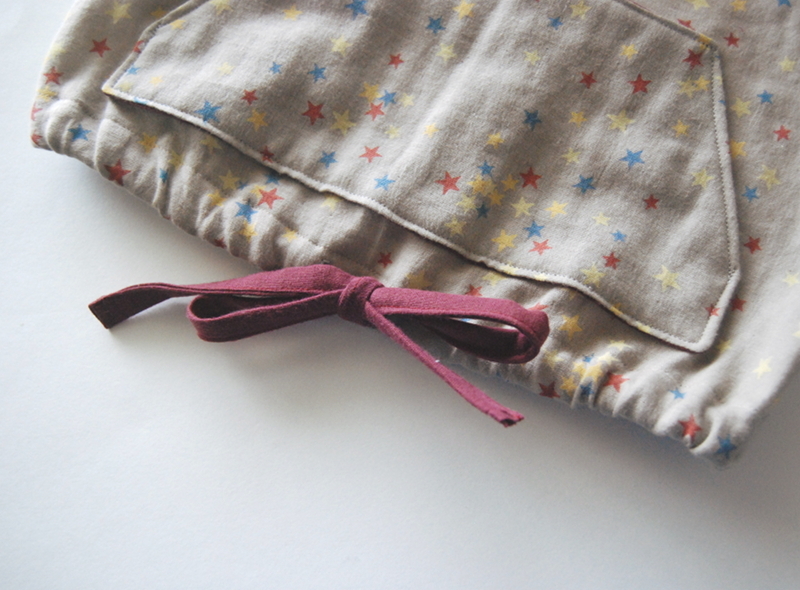 Fold and press the bottom of the pull-over the same way you did with the sleeve (but don’t pin and sew yet). 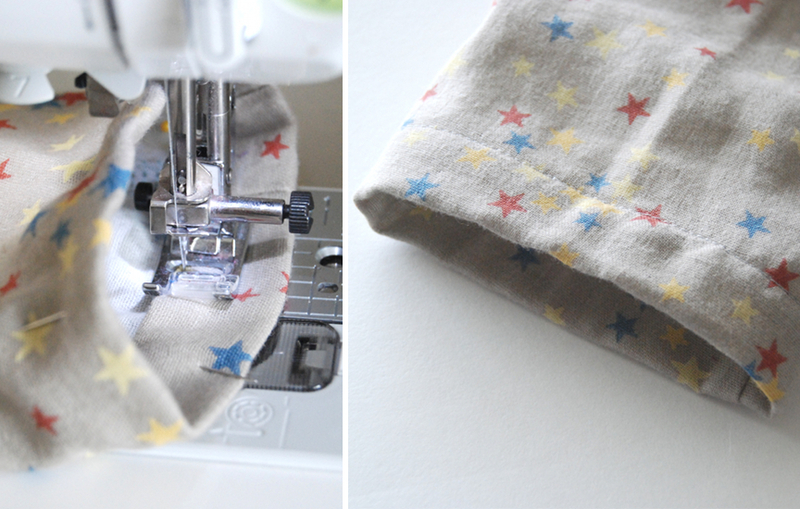 If you haven’t already, attach your strip of fusible interfacing to the center front of your pullover, just above the higher of the two fold lines. Find and mark the center of your pullover by folding it in half and finger pressing or ironing a little crease by the interfacing. 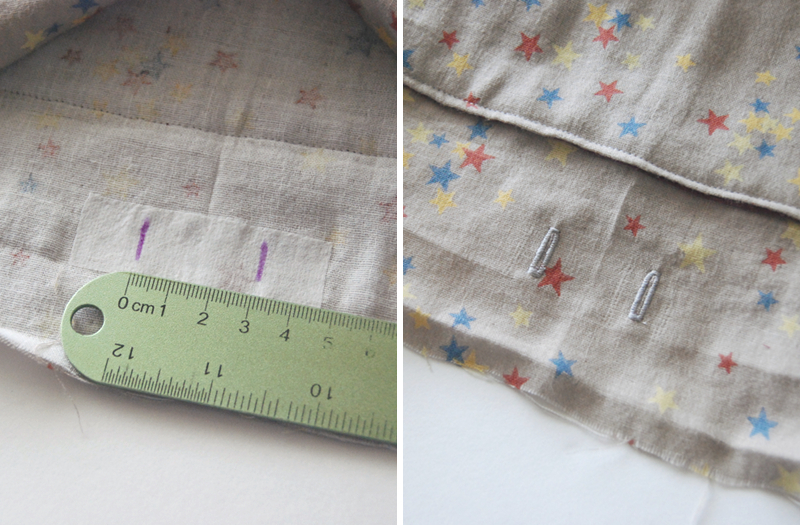 Using that center mark, measure 1.5 cm to either side and mark your buttonhole placements. I transferred my markings to the right side of my pull-over and sewed from that side since it tends to look nicer. 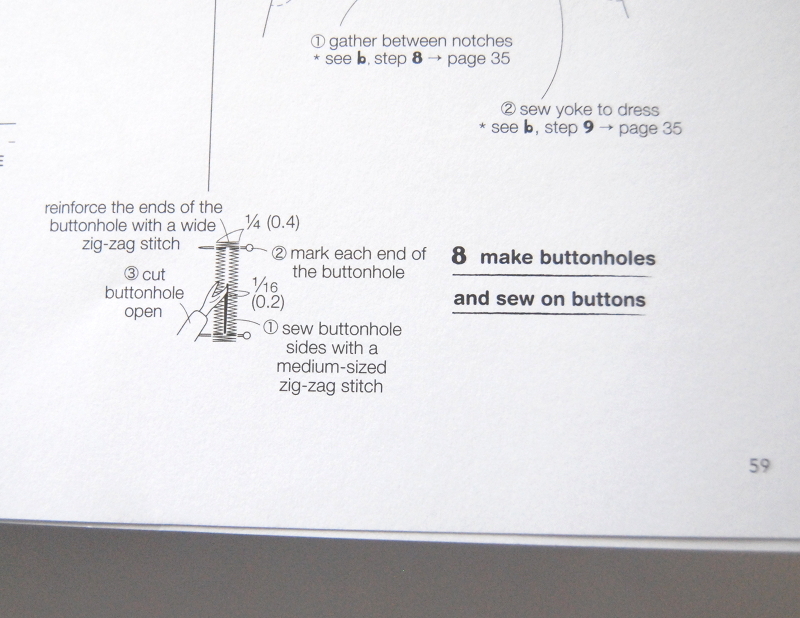 If you are not familiar with making buttonholes on your machine, there are a few more detailed directions on page 59 that may help. 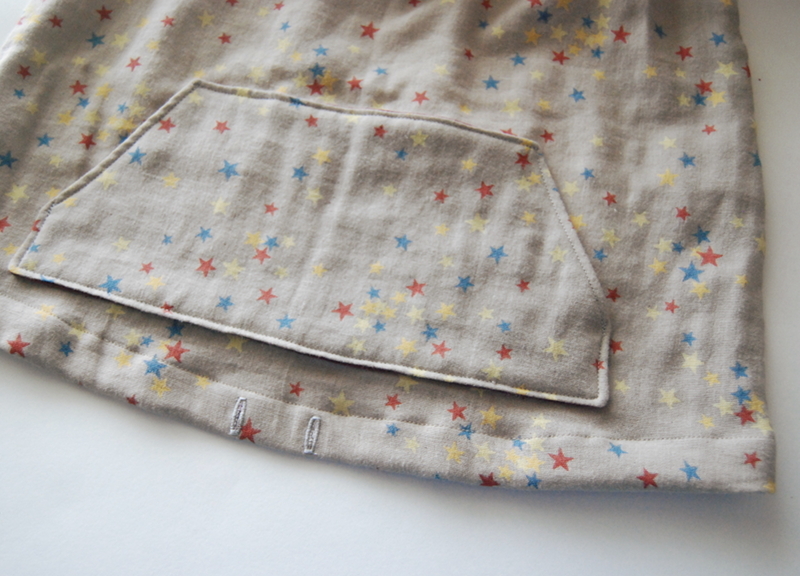 Fold the hem back up, pin and sew along the folded edge. 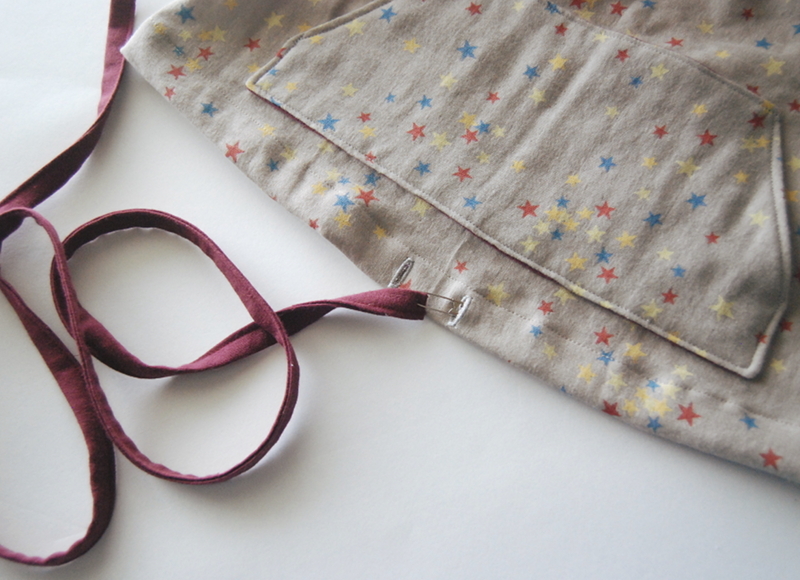 Attach a safety pin or bodkin to one end of your cotton tape/drawstring material and thread through one of the buttonholes, all the way around the hem, and back out the other buttonhole. Tie it up and you’re DONE! So, what do you think!? How did it go? Do you like the pull-over? Was it easy to sew up? Will you use this pattern again? I have yet to try this on my little one, so we’ll see how the fit is and if she approves, but I think it’s adorable and I hope she wears it! I’ll try and take some pictures of her wearing it over the weekend and post them on Monday. 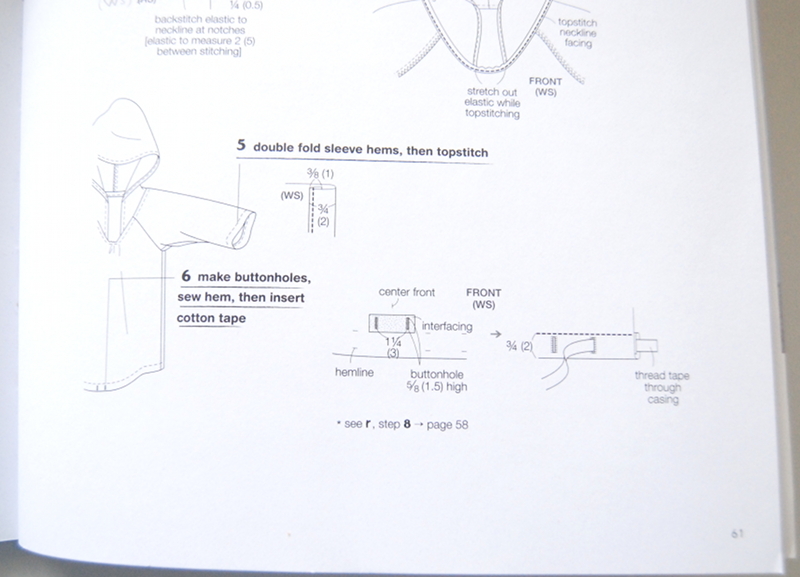 Be sure you get pictures of your finished pull-over (on the hanger or on a model – either is fine!) and add them to the Flickr pool by Monday, June 23 to be included in our round up and a chance to win the fantastic sew-along prize!! I’m loving all the in progress and finished sew-along pictures popping up on Instagram and on Flickr. You guys are doing an amazing job! And I suspect we’ll see a lot more added over the weekend. Can’t wait! I’ll check back in with you on Monday. It looks so great! As I mentioned to Meg, I really resist wovens but this one looks really soft and comfy. eek! it looks so cute! now I need to go get started on mine……. It looks so cute + comfy!! I can’t wait to start sewing it. What kind of fabric do you use? 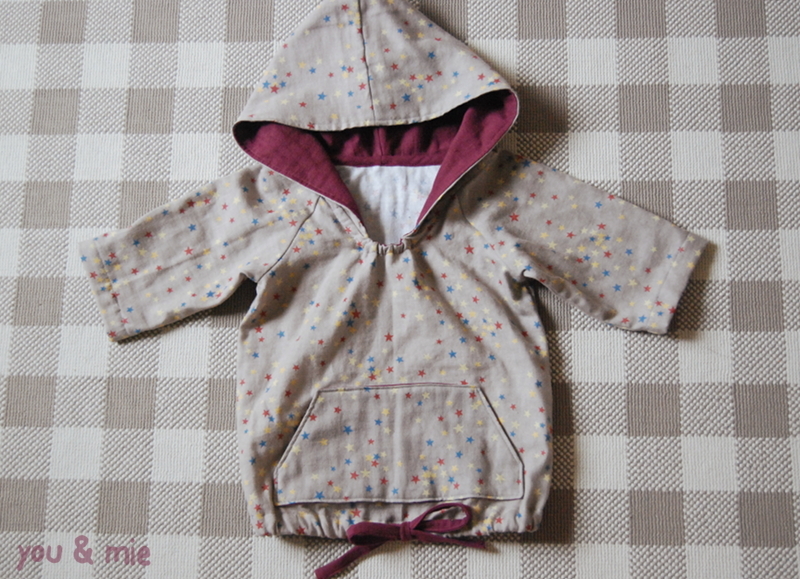 I think I will try the hoodie lining as well with mine, I have a piece of flannel in my stash waiting to be used. 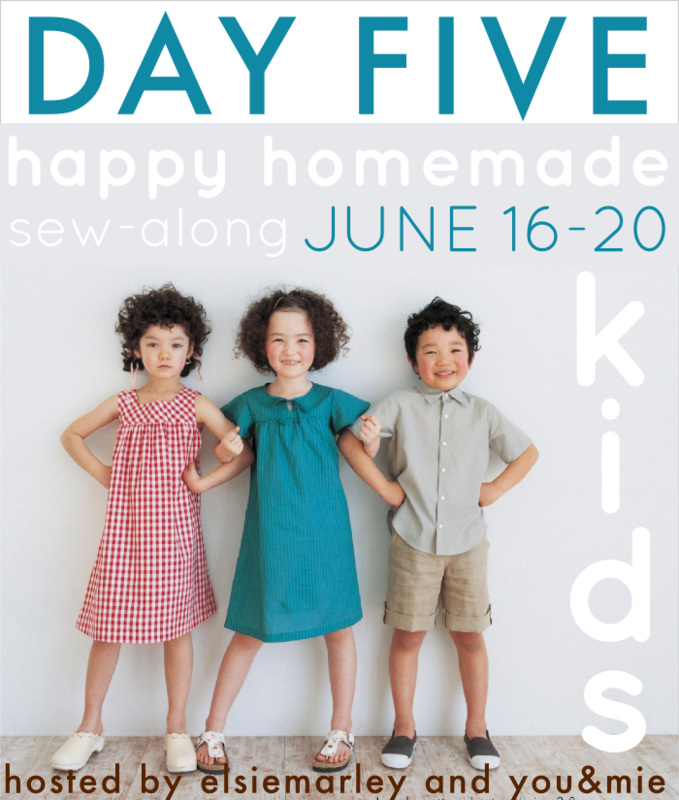 Thank you for this wonderful sew-along! I used double gauze and it is really soft and comfortable! 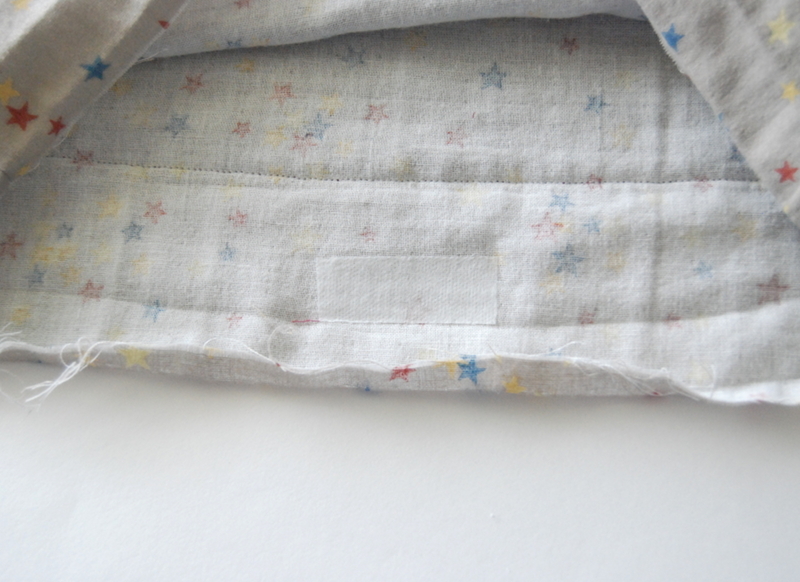 If you want other recommendations, Meg wrote a whole post about it: http://www.elsiemarley.com/happy-homemade-sew-along-fabrics.html. Flannel would be great! Almost done a little behind should get it done by Mon though.